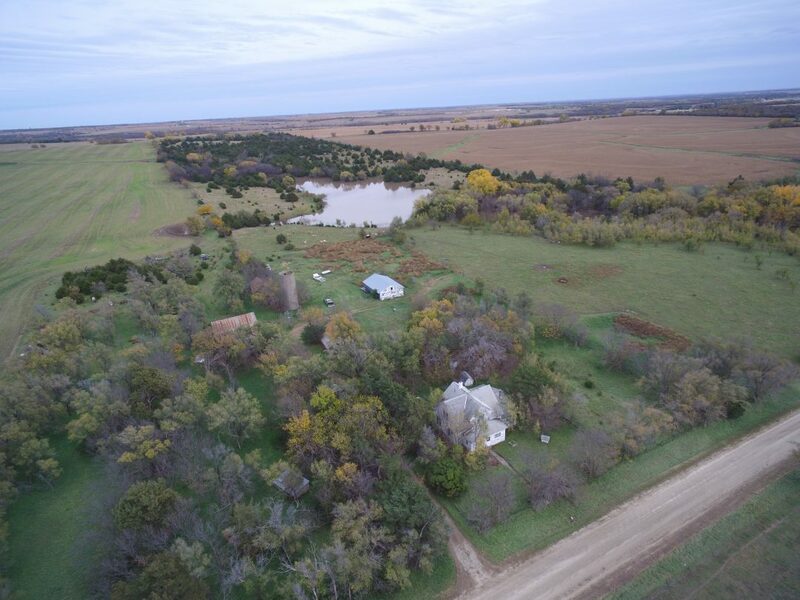 This property is located 1 mile north of Industry, KS on Limestone Rd. Conveniently located 1 mile off the blacktop, 2 miles off 15 HWY, and 1 mile off Chapman Creek, this property has a quiet setting, a 3 acre stocked pond, a home and outbuildings that could possibly be renovated, power and water are in place. This place is about 10 miles from Milford Lake! Known to harbor big deer, numerous quail, pheasant, and turkey, this could be the perfect weekend get away!